The LOHASIAN: Solving Africa's "Book Famine"
What happens when you sell your business, make millions and look for another project ? Well - perhaps a lucky few have been in the position to answer such a question. 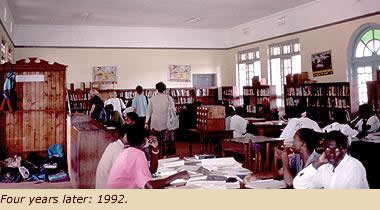 For one man, Tom Warth, the answer was simple change the world by ending "book famine" in Africa. Books for Africa was founded twenty years ago when Warth traveled to Uganda and was stunned to find bare shelved libraries, and children starved for knowledge with no means to satiate it. 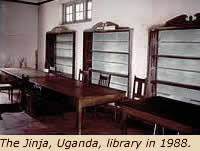 Wandering around Jinja one day with his hostess, they came upon the local library. Stories diverge as to whether the visit was planned or accidental, but Tom took one look at the nearly empty shelves and the few scattered, tattered books that were all at least 25 years old, and decided to continue the adventure. Upon his return he met with many of his former colleagues in the publishing business from which he made his fortune, many of whom jumped on board to collaborate on an extraordinary venture empowering the neediest through the power of knowledge. The idea was quite simple, put good used books to use that otherwise would end up in landfills. Since its founding the organization has shipped literally millions of books and now computers in sea crates to various regions of Africa.